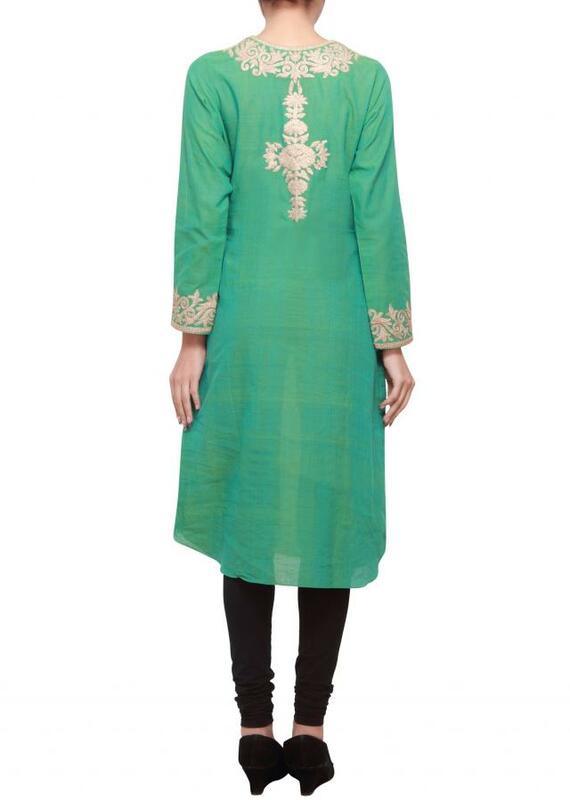 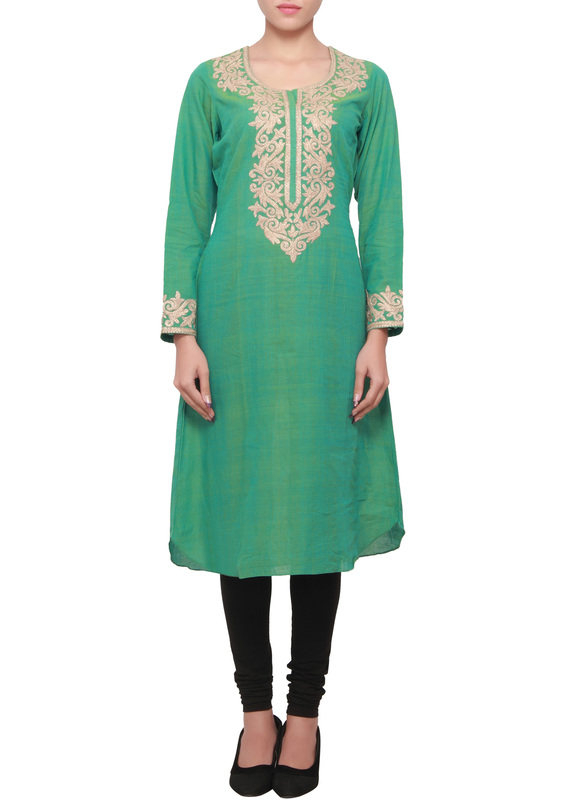 Winter green silk kurti embellished in zari. 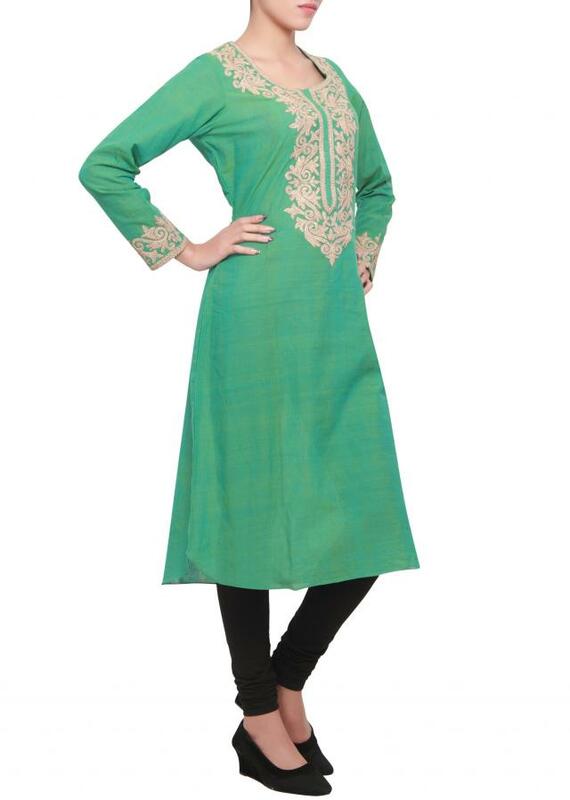 It has detail embellishment at the neckline and sleeves hem line. 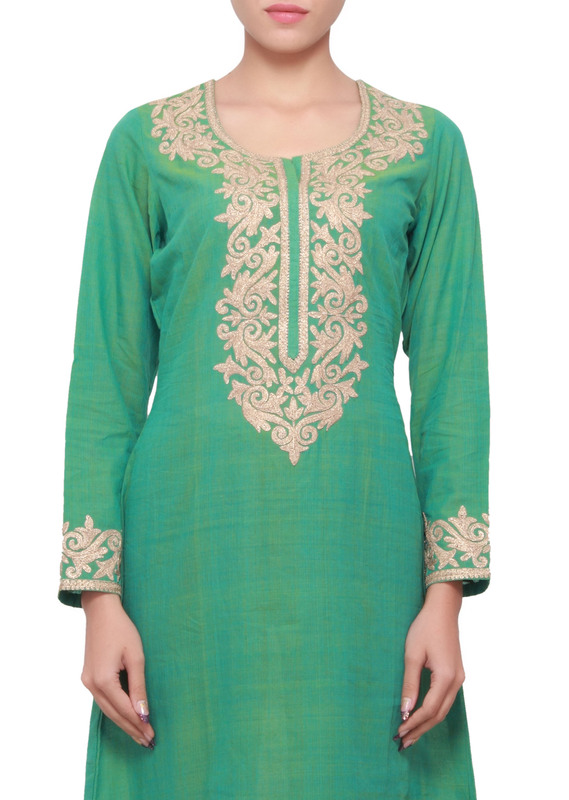 It has a round neck and full sleeve.